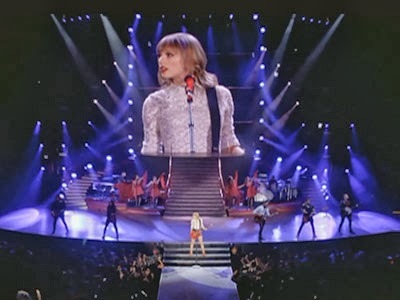 NASHVILLE, Tenn. - Country Music Superstar Taylor Swift is taking center stage in Nashville for three days straight. She is wrapping up the North American leg of her "RED" tour here in Music City. Thursday night she performed the first of three sold out concerts at the Bridgestone Arena. Taylor's "RED" tour has played to sold-out crowds across the U-S and Canada since March including 36 arenas and 9 stadiums. The shows in Nashville Thursday, Friday and Saturday end a record-breaking run where she played 58 shows in 45 cities. Taylor's buddy from the United Kingdom, Ed Sherran, is opening up all three shows here. Earlier Thursday Swift was presented with a plaque commemorating $4 million in sales for her album "RED" in the U-K. The album has sold six million copies worldwide. The singer said she wanted to save Nashville as the last city in the North American leg of her tour. Next, Taylor Swift will travel down under to entertain crowds in Australia.